Selling a preprinted or generated gift voucher is very similar and the system should guide you through any differences to make use easy. To sell a preprinted Gift Voucher go to the Sales screen as if you were performing a normal sale. Gift Vouchers will be displayed under products so click the Add Product link to allow you to enter a product. The category that you created the Preprinted Gift Voucher under will be displayed under the Brand drop down list, so clicking on here you should find Preprinted Giftcards or any other category you configured. When the category is selected it will display a list of all Gift Vouchers you have entered under this category in the Product drop down list. You must enter each Gift Voucher as individual items with a quantity of one so the Voucher Codes can be stored against each one. Now click the Add button to add it to the sale. Assuming this is the only thing being sold for this sale you can now click the Complete Sale button to allow you to enter a payment. 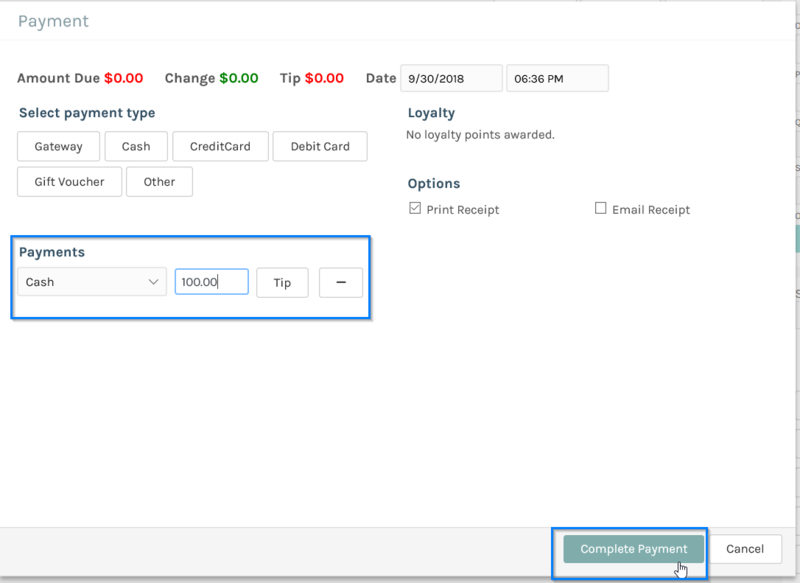 In this example we will pay with cash but you could use any other payment type, so click Cash which will default the amount to the total sale price and click the Complete Payment button. s this sale was for a Preprinted Gift Voucher you will now be displayed a screen to enter the code that is printed on the voucher. This is important for tracking the balance of the voucher as it is redeemed. 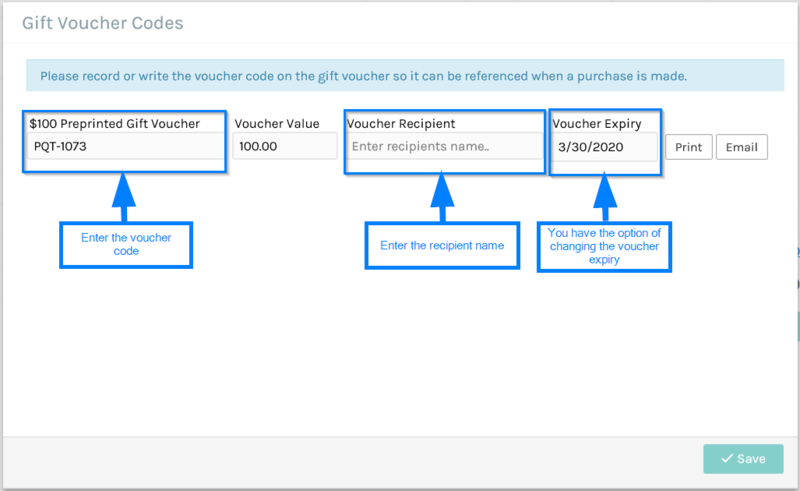 You can also enter the Voucher Recipient's name and change the Voucher Expiry date if need be. After carefully entering the code click the Save button. The Gift Voucher sale is now complete.